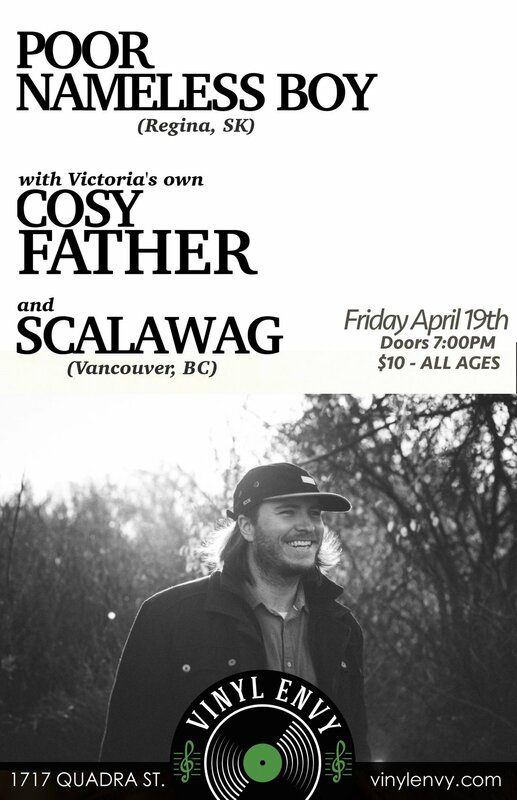 Cosy Father is a reclusive hillbilly with the voice of a young woman who writes, sings, records and weaves dreams in a small room in Victoria, BC. She now plays with a band made up of two musical brothers who emerged from the nearby backwoods and a freewheeling Albertan who wandered over the provincial boundary some years ago. As Poor Nameless Boy, Regina-based indie folk artist Joel Henderson leaves a piece of himself on stage every night he performs. 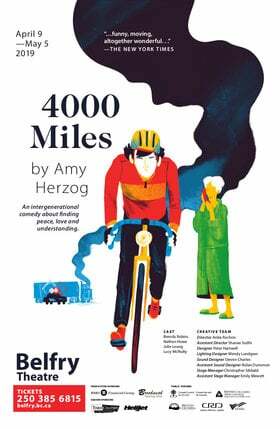 His mellow sound is personal, speaking honestly about love, life, and our changing hearts in a busy world. 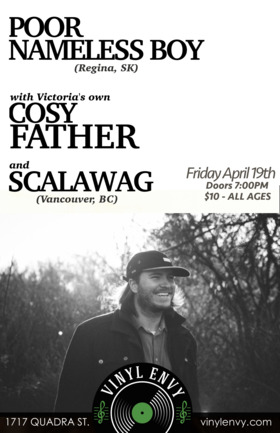 Scalawag is a Solo multi-instrumentalist music artist that is sure to both make you nostalgic for things you've never experienced, and keep your head bopping and your torso grooving. With an eclectic mix of genre, and distinct vocals, Scalawag takes you on a journey of imagination.